This week I am slowing down. Intentionally. 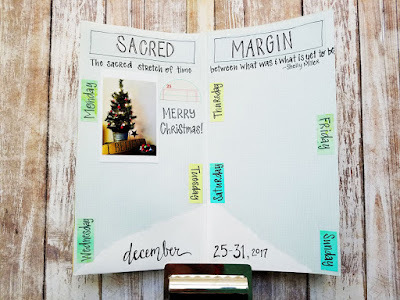 This past month did not go as planned, with my hopes of slowing down and enjoying the Advent season with an art challenge. Too much life got in the way. But now we are past Advent, school is out for a few weeks, and my job at the church is on a sabbatical for a week. So I begin my annual habit of looking back over the past year. This practice for me over the past few years has produced an important motto for my life: Looking back in order to move forward. I try to make it a habit every few months to re-read my journals for the year and look for patterns of growth and areas that may require attention. This practice keeps me aware, and awareness is key for spiritual formation. We need to stay aware of the condition of our heart, mind and soul in order to be open to God's shaping work in our lives. 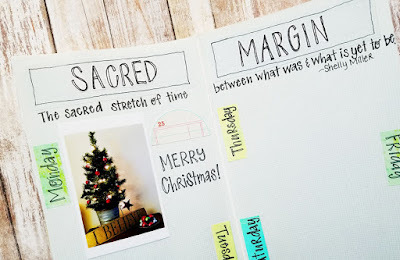 A month ago I wrote this post about how I was going to use a phrase, Sacred Time, for my word for the year in 2018. I intend to follow the church calendar in 2018 and study it's history and theology. I want to join the flow of the church calendar from Advent through Pentecost. And so I thought my word for the year was settled. But as I began re-reading my journals from the past year a word kept popping up. It grew out of the workings of God in my life over this past year. It grew out of a deeper awareness of the Spirit's role in my life through my church's journey through the book of Galatians in the first half of the year. I treasure this week of the year between Christmas and New Year's Day. The time of the year that author Shelly Miller calls "the Sabbath margin - a sacred stretch of time between what was and what is yet to be". I enjoy looking back over the past year and looking ahead to the freshness the new year. 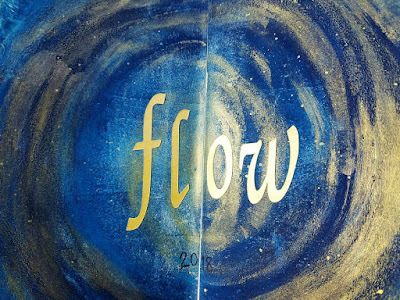 So, as I was doing this over the past few days my word for the year was revealed: flow. 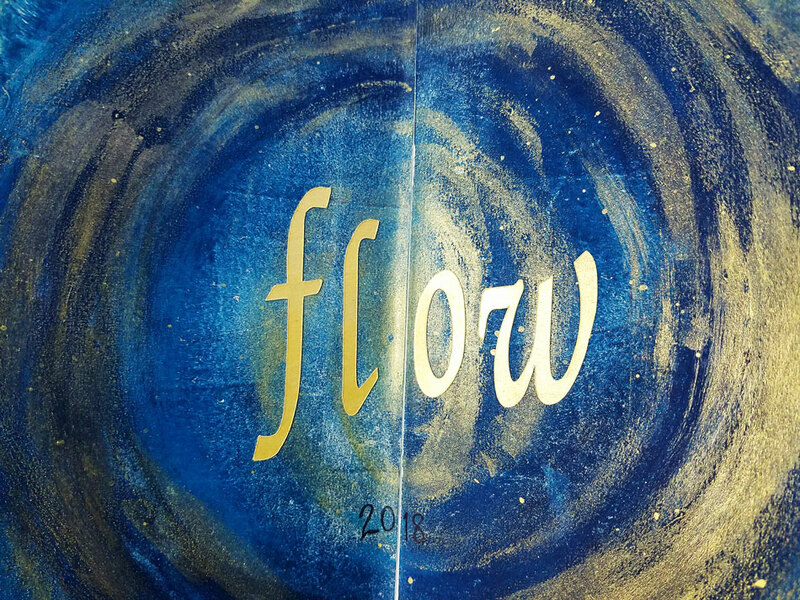 My intention now is to live with this word, flow, through the year in the midst of the theme of Sacred Time as I journey with the church calendar. And I intend to do all of this in community ~ here on my blog, on Instagram, and in a new group that has formed on Facebook called Everyday Journals - Living Your Word for the Year. 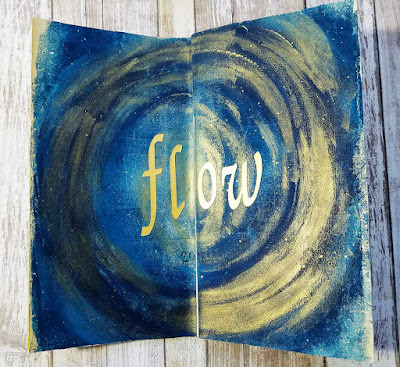 I'm joining my friends Bernice Hopper and Valerie Sjodin this year on an adventure in using an Everyday Journal with my word for the year and everything else! I'm using a Traveler's Notebook again this year and plan to fill it with a variety of art mediums - a little bit art journal/bullet journal/planner/travel journal/memory keeper/nature journal, etc. Below is a bit of information about the new Facebook group. Do you choose a word for the year? Or does it choose you? When we ask God for a word for the year he gives us something that he wants us to work on, to include more of during the year? Do you know what your word for 2018 is yet? Have you tried planners, bullet journals and diaries and found they don’t suit your lifestyle? Do you want a simple, completely personalized, no pressure way of journal keeping? Do you have lots of scraps of papers with your ideas written down but often lost in the detritus on your desk? Or do you file all your thoughts in your head and become overwhelmed with all the ideas and no place to flesh them out? 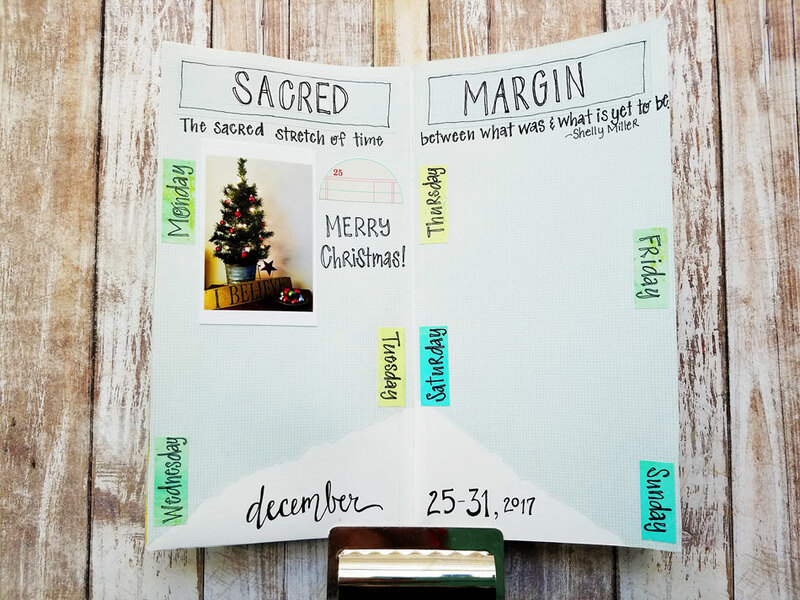 Would you like a more creative way to organize your word, your ideas, thoughts, prayers, events, or your projects all in one place? Let us introduce you to an Everyday Calendar Journal. Through 2018, Valerie Sjodin, Bernice Hopper, and Mary Brack will be sharing insights through blog posts for keeping an Everyday Calendar Journal. We will be using the journal to record events, experiences and relationships; to explore our word’s meaning in visual and fun ways. It is our hope that you will make your journal your own, personalizing it to make it a beautifully useful and valuable tool. 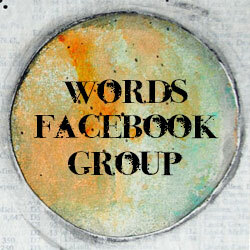 Join us in our private Facebook group to find encouragement and support as we journal through 2018. We are using the following hashtags: #livingyourword2018 and #everydayjournals2018.